Windham Weaponry has been assembling rifles as fast as we can make the parts, so we already know it will be a busy Spring! This month, we are featuring our HBC (Heavy Barreled Carbine). With a 10 round magazine (as shown below), it is complaint with regulations in the State of Maryland. This model is also very popular in many other States. The combination of the straight turned heavy barrel and reliable mil. spec front and rear sights appeal to many shooters who are looking for the best value in a modern sporting rifle. Whatever State you live in, Windham Weaponry offers many models for target shooting, hunting or general plinking, so be sure to see them all at www.windhamweaponry.com or call us for a free catalog. First make sure rifle is unloaded then remove upper from lower. Now drive out the hammer and trigger pins to remove hammer, trigger and disconnector. Then unscrew and remove pistol grip screw and carefully remove being sure not to lose the safety detent or spring. Note orientation of detent for reinstallation later. Remove safety selector. Included is a bottom plate that is optional. It’s primarily for carbon fiber lowers so the tensioning screws don’t crack the lower. But there’s really no reason not to install it as it will keep the tensioning screws from marring the finish on the inside of the aluminum lowers as well. Make sure the tensioning screws are even with the bottom of the assembly on both sides and drop the trigger in. Install pins and safety selector. It’s important to install the safety selector before securing the tensioning pins as it will not go in after tightening them down. Now tighten the tensioning screws evenly on both sides tightening each side Â¼ turn each until the screws are snug and the hammer/trigger pins are secure. Then install the locking screws on top of the tensioning screws to keep them from backing out. Also note there is a trigger pull weight adjustment screw in the rear of the assembly which allows you to adjust the weight of the pull. Clockwise makes it heavier, counter clockwise makes it lighter. If it is adjusted too heavy the trigger won’t pull, if it is adjusted too light the disconnector won’t release. QUESTION: Do you make a left-handed AR rifle ? Just wanted to drop a line of my recent learning of Windham Weaponry. I had stopped by a local gun shop I often visit and was looking to buy a new AR. I had mind set to purchase a new Colt, that’s what I have always wanted being a combat vet, I had a attachment to Colt. The gun shop owner was helping me out with the 6290 LE that I was looking at. He also had a Windham Weaponry MPC next to it. So, as I was looking at the Colt I had asked him about the MPC. He had told me the story behind Windham. I had both rifles in my hand now at the time, I was studying both rifles really hard. Keep in mind my heart set for the Colt. To my surprise I noticed that the MPC had a better feel of tighter tolerances and seemed like it had a better solid feel over the Colt. I thought long and hard about the MPC so I told the owner that I would be back after I did some more research on Windham Weaponry. Did a lot of research on YouTube and so forth to find alot of review’s positive reviews on Windham Weaponry. So, in short, I went back to the gun shop and made my mind up to purchase the Windham Weaponry MPC. I am very, very, pleased with the attention to detail you all take to your rifles and the fit and finish. I have to say and with alot of people agreeing with me on this, that Windham rifles are absolutely one of the finest AR rifles on the market. I’m glad I learned of your new company, and proud to own one of your products. Thought I would share my story with you all and thank you for building quality products made in the USA!!!! And one other important feature of your quality rifles is PRICE!! Way to go!! The ELF Drop-In Match Trigger has been built for performance. The only AR-15 trigger using aerospace grade sealed bearings, making for an incredibly smooth and fast trigger pull. Pull weight is so easy to adjust it can be done in seconds without removing the trigger from your lower receiver. It fits any mil-spec AR-15, and is designed to be Absolutely Drop-Safe regardless of pull-weight. The Factory set Pull-weight is approximately 50% lighter than that of a standard AR-15 trigger to provide great speed and accuracy. It is adjustable from 4 lbs. to 2 3/4 lbs. without removing it from lower and installation uses existing hammer and trigger pins. Its very short pull and reset allows for rapid follow up shots and greater accuracy. The unique design of the disconnector allows full 1/4″ width to eliminating the possibility of wear and double-firing. High performance trigger and hammer needle bearings for smoother and faster firing. Sturdy, rugged, and trouble-free – machined of lightweight aircraft-grade aluminum and hardened steel – 100% made in America with a Lifetime Guarantee. With winter in full swing around the country, we are no different up here in Maine. The good thing is that is hasn’t slowed us down one bit. Production is building rifles at a fast and furious pace to keep up with the demand around the country. 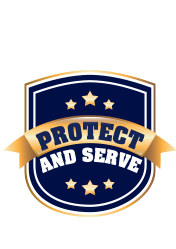 I have a lot of travel on my plate and would love it if you could swing by and visit me at the ILEETA show (International Law Enforcement Educators and Trainers Association) coming up in Chicago, March 14th and 15th, or at the TTPOA (Texas Tactical Police Officers Association) in San Marcos, Texas, April 5th to the 8th. 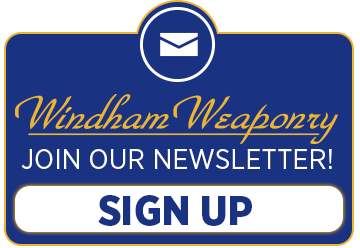 I would also like to remind you all to check out our training link to see where we are holding our Windham Weaponry Armorers Courses. Cthompson@windhamweaponry.com or me Tcoons@windhamweaponry.com and we would be glad to assist you. A big thank you to all of you out there supporting WW and please let Cindy and I know how we can assist you with your rifle, parts and accessory needs. Windham Indoor Shooting Range & Retail Store! The Windham Indoor Shooting Range and Retail Store is a wonderful new enterprise with a classroom for training in concealed carry, basic personal defense and advanced personal defense classes. Customers interested in training will have an option of a 7-hour class or 3 and 4-hour elective courses to work on specific disciplines. Their motto is “Training Begins at the Door” which means their experienced gun counter sales personnel and Range Safety Officers will ensure your shooting needs are fulfilled in a safe environment. The state-of-the-art 12 lane, 25-yard firing range is ready for your next practice session, recreational outing or corporate event! They are conveniently located in the Windham Business Park on Rte 302 in North Windham.